Q. I thought we could only eat oysters in the cold months or months with an "R" in them? A. Folklore says that oysters should be eaten in month only with "R's" in them (September through April). Maestro S.V.P. educates people that oysters can be eaten twelve months a year. 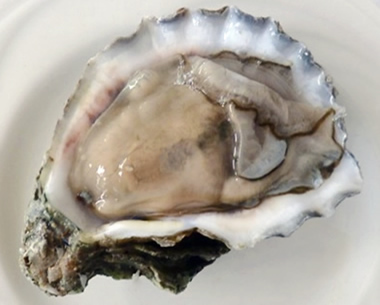 The notion that oysters should not be eaten in "R"-less months may have started in days when oysters were shipped without adequate refrigeration and could spoil. Today all of that has changed and we can enjoy oysters twelve months a year. Q. How do you know where the oysters came from? A. We buy/purchase seafood from W.H. Harris Seafood Company. W.H. Harris is a State of Maryland certified seafood wholesaler that only buys oysters from certified suppliers. All oysters are tagged with harvest locations and harvest dates. Q. How do I determine how many oysters to buy? Oysters: Appetizer Engagements: 3-4 oysters per person. As a second or third course (where other items are being served with the oysters): 5-6 oysters per person. For a main course (including an Oyster Roast or a Bull & Oyster Roast), figure 6-8 oysters per person. Clams: Many people serve clams along with oysters. In this case, 1/3 of the amount is needed for clams. For example, if a party is being planned for 100 people with oysters and clams for appetizers, we would recommend 300 oysters and 100 clams. Shrimp: As appetizers, figure 1/4 pound per person. Recommend peeled and de-veined with tail on. As a second course: 1/3-1/2 pound per person. Crabs: For every 10 people, we recommend 1 bushel. Most popular are the #1 males crabs. Q. What do we do with the oyster shells? A. ProShuckers recycles shells to the Oyster Recovery Partnership. Q. Will there be a mess if we set up the Raw Bar inside? A. No mess at all! ProShuckers has self-contained oyster pans that leave no mess. We wrap the shell boxes in bags for easy clean up. Q. How do I know how many oyster shuckers to get? A. At Bull and Oyster Roasts where oysters and clams are consumed quickly, we use the following rule: One shucker for every 150 people. Ever been to a Roast where the line never seems to move? That won't happen here! For more information about what ProShuckers can do for your next party,e-mail or call Steve at 443-520-0729.